Since its inception, LPCDC administration has worked diligently to build and strengthen the organization’s coordination and partnerships with other local organizations and agencies. 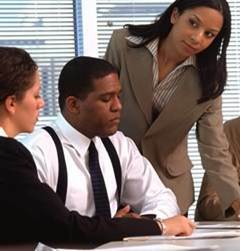 The organization has become known for providing specialized assistance with minority/disadvantaged inliiduals, students, youth and families over the past 15 years, specifically in workforce training and development in health care careers with underrepresented groups in the communities served by the project. The vision for Launch Point is to reverse cycles of community deprivation, incarceration, impoverishment, and illiteracy by providing supportive resources, training, services and opportunities to the Harris County area youth, families, and communities.